W.Bro. Robert Godby, PM, Secretary to Lodge 59. Relegated to “Alfred” Masonic Lodge, 59 whose members had it painted as a Memento of their affection, and a tribute to his zeal for the Craft, and love for the Brotherhood. W.Bro. 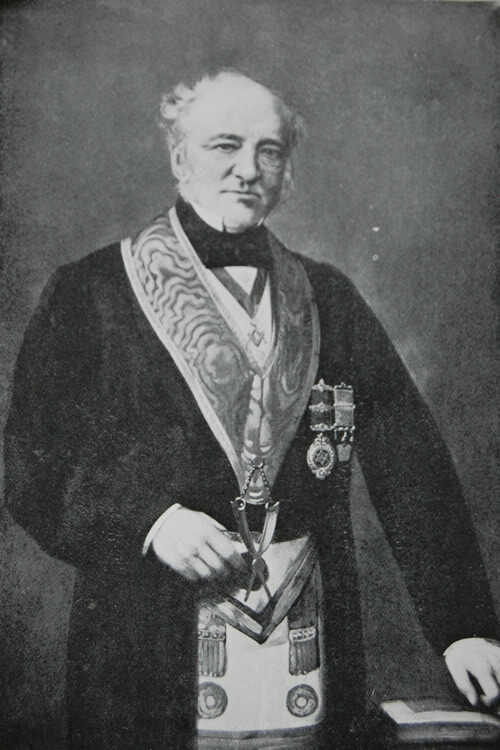 Robert Godby, P.M., was one of the old school of brethren who made a religion of Freemasonry, and devoted his spare time to furthering the Peace, Love and Harmony of Lodge 59. The appreciation of his worth by his brethren is expressed in the inscription on his portrait – a tribute of which any brother might well feel proud of.